The High Arctic circles the top of the globe from Russia’s Far East to Svalbard. Covered in sea-ice for most of the year, it is only during the short summer months (June to September) that it is possible to witness the stunning scenery, incredible and diverse wildlife and interesting indigenous communities the Arctic has to offer. We have first-hand experience of the Arctic and can look after all aspects of your holiday; flights, pre and post voyage arrangements and of course your voyage, including the Canadian Arctic, Greenland, Svalbard (Spitsbergen) and the North Pole. 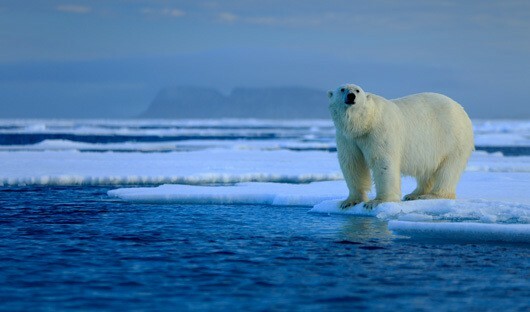 The High Arctic is best explored from June to September, as the pack ice recedes and the temperatures rise and the race is on for all living creatures (flora & fauna) to make the most of the short summer. There’s a lot to see; Polar bears, walrus, seals, Arctic foxes haunt the ice edge, millions of seabirds, remote villages, icebergs and magnificent scenery and historic sites all make for an unforgettable holiday. 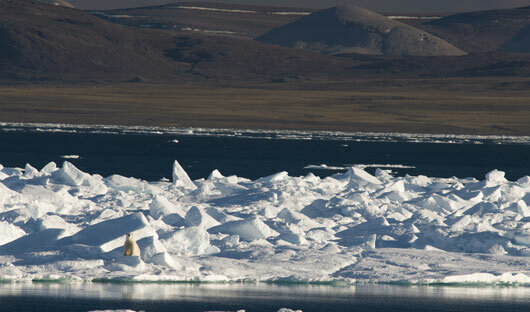 If wildlife is your major interest then Spitsbergen should be on your list. Spitsbergen’s wildlife is protected and has been for many years, as a result you have the chance to view the animals in their natural state and often in great abundance and usually reasonably close. Spitsbergen, a Dutch word for ‘pointed peaks’, is one of the most beautiful wilderness areas in the world. Birdlife is varied and includes guillemots, razorbills, puffins, terns, gulls, geese, ducks, phalaropes, curlew, sandpipers, owls and falcons. Other wildlife includes: three species of seal, four species of whale, Arctic fox, walrus, for the very fortunate Narwhal, and the stars of the show Polar bears. Franz Josef Land (Russian Zemlya Frantsa-Iosifa) is an archipelago of 191 islands in the northeastern Barents Sea, it is the northernmost territory of Russia. Any voyage here is a real expedition. Exploration opportunities in Franz Josef Land are heavily dependent on the weather and sea ice. Guided by experienced captains and expedition leader the best route will be selected for any voyage and continually adjust plans as opportunities warrant in this wild and remote corner of the Arctic. The archipelago, part of the Russian Arctic National Park since 2012, is a nature sanctuary. 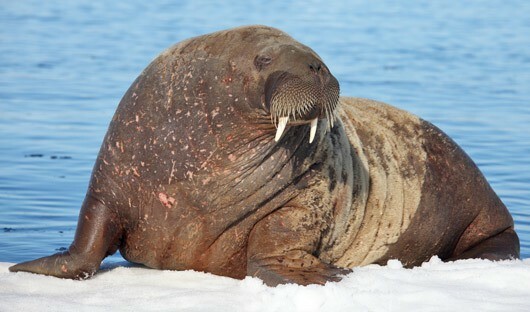 Polar bears, walruses and for the fortunate rare whale species (beluga and narwhal) can be spotted anytime, anywhere in and around Franz Josef Land. The cliffs around the islands are home to enormous nesting colonies of seabirds such as guillemots, little auk (dovekies), and ivory gulls. Any voyage will take advantage of the 24-hour daylight to exploit every opportunity for wildlife viewing. Franz Josef Land has a very interesting history both in recent terms and in its geological origins. The islands were formed in the Middle Jurassic Period some 160-200 million years ago. 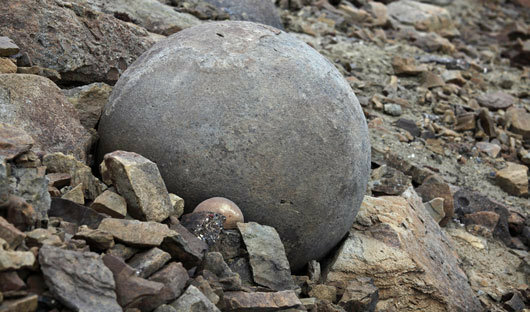 There are also many interesting geological features, including the mysterious stone spheres on Champ Island. Collectors of geographical extremes may take note that Cape Fligely on Rudolf Island is the northernmost point of land in the Eastern Hemisphere. Franz Josef Land also offers visitors the opportunity to walk in the footsteps of famous polar explorers at well-preserved historical sites. 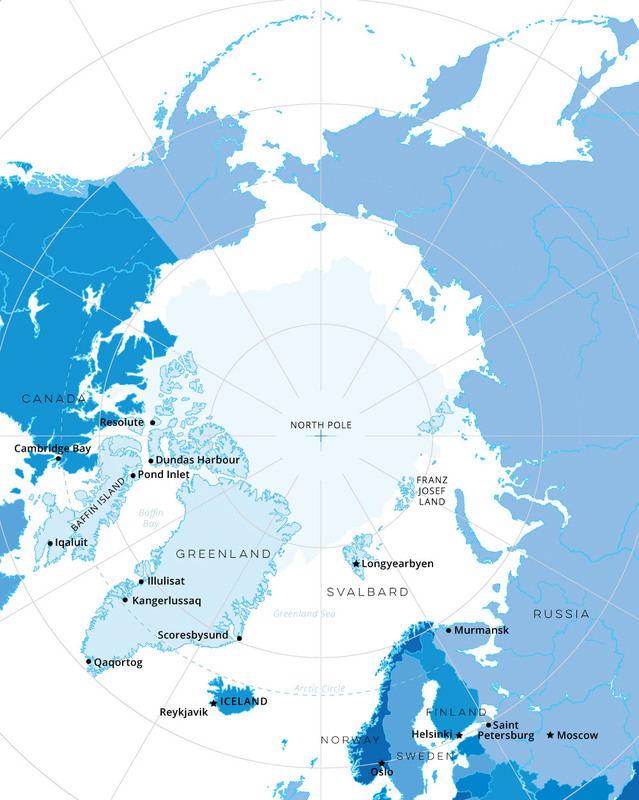 The Canadian High Arctic is north of the Arctic Circle and most of Alaska. The variety of scenery and wildlife as well as the remoteness of the area is the main drawcard for visitors. One of the gateways into this region is the remote community of Resolute. There is a saying ‘Resolute is not the end of the world, but you can see it from here’ which gives you an idea of location. Baffin Island and Devon Island offer incredible scenery; mountain, fjords, glaciers and pack ice that make up this wilderness area and provide homes for rare and interesting wildlife including: muskox, walrus, beluga whales and the polar bear. The Canadian High Arctic offers a wealth of history and the opportunity to follow in the wake of some of the most amazing and daring explorer’s. There are traditional Inuit communities dotted along the coastline which you can visit and listen to their enchanting stories and learn more about their culture and way of life in these harsh conditions. 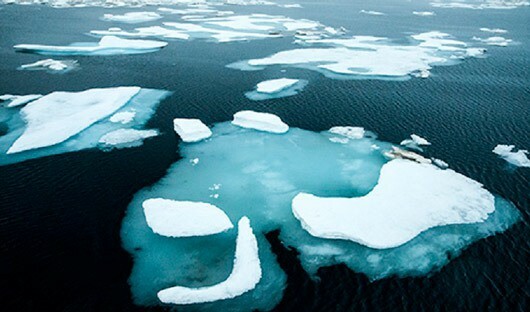 The Northwest Passage is a sea passage through the Arctic that connects the Pacific and Atlantic Oceans. The search for this Passage claimed the lives of many, it is now a journey you can enjoy whilst your expedition’s historian will help you understand the courage, misery and the incredible endurance of some of history’s greatest explorers (Franklyn in particular). Everything about Greenland is big: it’s the largest and oldest Island on our planet. With most of the Island covered in an enormous Ice cap it’s the coast where the maritime influences combine with incredible glacial scenery to offer ‘big’ experiences. Even the names follow the ‘big’ theme, Qeqertarsuaq translates literally as ‘large island’ in the local inuit language. After the main landmass of Greenland, this is the territory’s second largest island and one of the ten largest islands on earth. 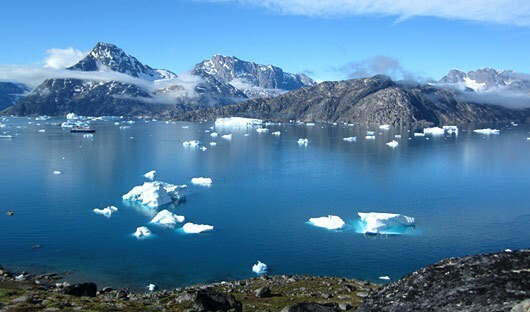 In addition to enormous fjords, glaciers and icebergs Greenland also has great historic and geological interest. Eric the Red, the 9th century Norse Viking, is believed to have visited here using the location as a base for hunting, fishing and exploration. Keeping with the theme and one of the wonders of the world the Jacobshavn Icefjord – a UNESCO World Heritage site – spews gigantic tabular icebergs out into Disko Bay. The glacier that creates these enormous bergs advances at over 40 meters per day, creating something in the order of 50 cubic kilometers of ice each year. 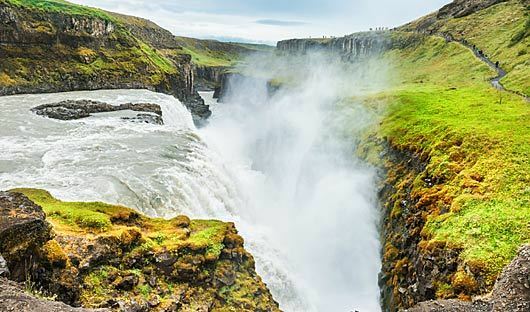 Often referred to as ‘The Land of Fire and Ice’ Iceland offers vast contrasts. Active volcanoes provide geothermal energy and incredible landscapes whilst some of Europe’s biggest glaciers co-exist on the same island. Geysers give a spectacular display to visitors and huge waterfalls splash up at admirers. During the winter months the skies remain dark all day and night with the only relief the spectacular light show of the Aurora Borealis. Conversely during summer the sun does not set. Iceland boasts interesting and delicious cuisine. Some menus you may find, whale, sheep’s head, fermented shark, horse steak and smoked puffin. They also offer exquisite dishes with more commonly used ingredients such as lamb and seafood. 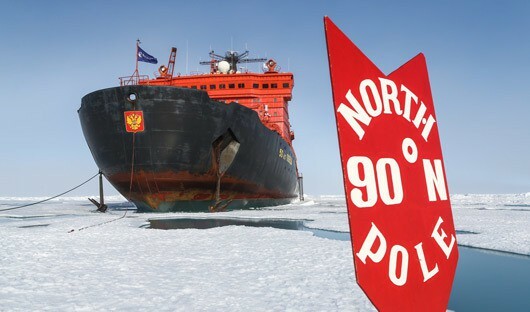 On your cruise to the North Pole, watch (and feel, as the ship forces it way over and through sea ice) in amazement from high above the frozen surface of the Arctic Ocean surface, as the vessel’s twin nuclear reactors (generating 75,000 horsepower), powers the vessel through Arctic sea ice up to three meters thick. This is a one–of-a-kind trip with the single-minded goal of reaching 90 degrees North. There will be opportunities to view wildlife, including the polar bear. On the return journey to Murmansk you’ll visit Franz Josef Land archipelago, home to walrus, seals and many bird species including the rare Ivory gull.